How Do I Preserve Evidence in Case of a Bicycle Accident Claim? 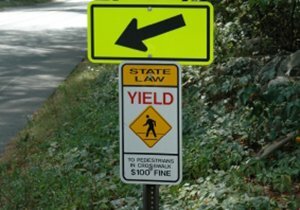 Is the driver at fault responsible for paying for my bicycle injuries? How soon can I repair my bike? The moments following a serious bike accident are crucial, and California cyclists should do everything they can to prevent valuable evidence from being lost or destroyed. San Diego bicycle accident attorney Frederick M. Dudek can tell you how to identify and preserve bike accident evidence that may aid your case when pursuing personal injury compensation from those responsible. 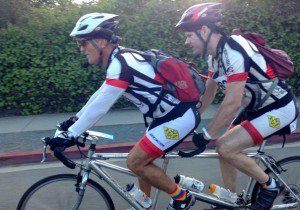 In addition to being an experienced San Diego bike accident lawyer, our attorney is an avid cyclist who has worked for many years assisting victims of California bicycle accidents and their families. If you are in search of legal advice regarding bike laws, bike safety tips or if you sustained bicycle injuries and are looking to file a California bicycle accident claim, speak with our San Diego bicycle accident attorney today to schedule your free, no obligation consultation. You should always seek medical attention immediately after the collision. 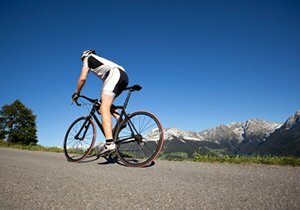 However, if you are able to investigate the accident scene, locating and maintaining any accident evidence you find after the bike crash can significantly improve the success and damages awarded in a bicycle accident claim. Your bike and the vehicle that collided with you. Do not attempt to move or repair your bicycle after the bike accident; the damages may allow the California or San Diego police and investigators involved to discern the cause of the collision. Take pictures of any damages to your bike and the vehicle involved as soon as possible. If you are unable, then ask someone at the scene to take pictures for you. Your cycling equipment. 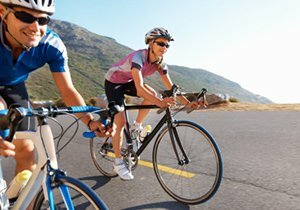 Damage to your bicycle helmet, clothes and other bicycle gear can act as valuable evidence in a California bike accident claim. Do not attempt to repair or clean any of these items. If possible, take pictures of any damaged equipment with a camera phone to preserve evidence in its original state. The scene of the accident. If you are able, take photos of any skid marks on the road. You should also photograph damage caused by the impact in addition to any potholes, loose rock or other material that may have contributed to the bike crash. If you are unable, try to have a witness document this for you. Witness testimony. Especially if it occurred on a busy San Diego street, people may have seen the bicycle accident occur. 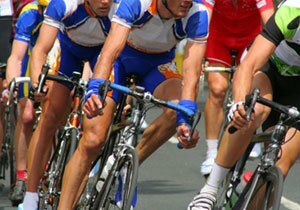 These witnesses can provide a firsthand account of the bicycle accident and back up your testimony. It is important to talk to any potential witnesses, and get their contact information. Police reports. The San Diego police will likely arrive at the scene of the crash and conduct an investigation. Fully cooperate with the police and answer their questions but only state the facts of the accident. Do not speculate, apologize or admit fault. Just stick to the facts as you know them. Investigation by a San Diego bicycle accident attorney. 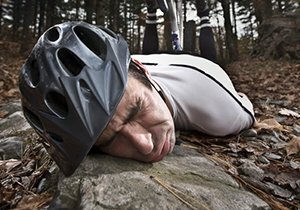 Talk to a San Diego bike accident lawyer as soon as possible after the bicycle accident. An experienced bicycle accident attorney can investigate or arrange for an expert investigator to recreate the crash to determine the cause. He/she can also determine if the driver violated any California safety laws. This investigation can be vital to the success of your California bicycle accident claim. Our San Diego bicycle accident attorney pays the upfront costs of an crash investigation if our firm takes on your bicycle accident claim. If you were in a bike accident, speak with our San Diego bicycle accident attorney today at (858) 530-4800. Our bike accident lawyer can give you free legal advice about your right to file a California bicycle accident claim. He can also help you seek injury compensation following a bike crash. We take on the hassle and stress of dealing with the insurance companies to let you focus on recovering.